THE year is 1998. Savage Garden is in the charts, Bill Clinton is in the White House and Monica Lewinsky is on the television when US embassies in Kenya and Tanzania are bombed simultaneously, killing 224 people and injuring 5000. As media circles around the former White House intern's grand jury testimony, US intelligence agencies launch a full-scale hunt after al-Qaeda claim responsibility for the attack. 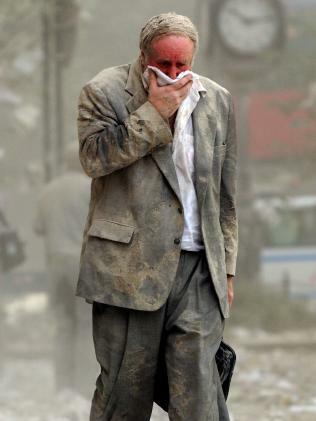 The man they eventually charge: Osama bin Laden. So begins The Looming Tower, a new 10-part drama based on a Pulitzer Prize winning novel of the same name by Lawrence Wright that recounts the lead-up to 9/11 and lays bare secrecy and infighting inside US intelligence agencies. 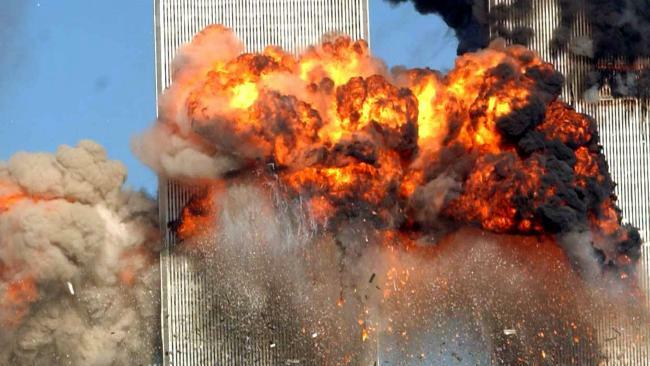 It shows how failure to stop bin Laden at the time, or register the scale of his ambition sowed the seeds for the twin tower attacks that killed nearly 3000 people three years later. 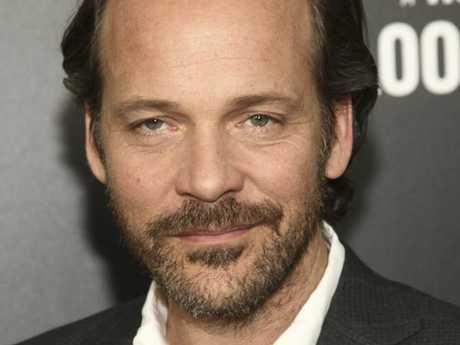 The "collective" failure is something actor Peter Sarsgaard (An Education, Dead Man Walking) believes could be a mistake we are doomed to repeat because "we weren't paying attention". "It's what's happening now. As a society we're getting derailed. 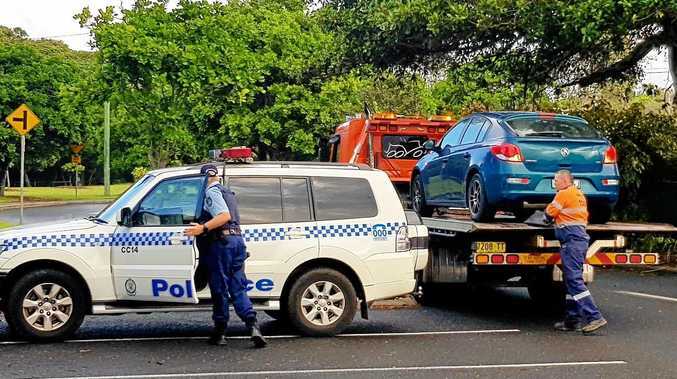 We're not paying attention to the things that really matter," he told news.com.au. "We're saying ISIS is defeated, well al-Qaeda is stronger now than it was pre 9/11. We're getting caught up in our underwear with somebody who is unfortunately the entertainer-in-chief … we're actually primed for the same thing. "I hope the show resonates and we aren't pointing the finger so much as going: 'How did this happen? What was the mood? What was the vibe?'" Sarsgaard stars as Martin Schmidt, the analytical head of the CIA's al-Qaeda unit, supremely convinced of his own intelligence and fiercely protective of his field sources. 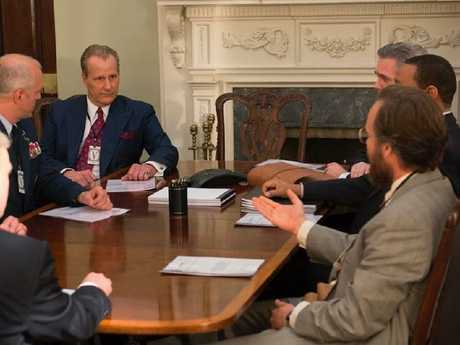 Schmidt opts not to share information with the FBI partly due to a personality clash with "bull in a china shop" New York FBI chief John O'Neill, played by Jeff Daniels (The Martian, Newsroom). The show focuses on the turf war between the two men, along with their proteges including FBI agent Ali Soufan (played by Tahar Rahim) who is just one of eight Arabic speaking agents at the time. It also features Alec Baldwin (30 Rock, The Departed) as CIA director George Tenet in a forensic look at how shadowy agencies carried out their hunt for the US's most wanted. 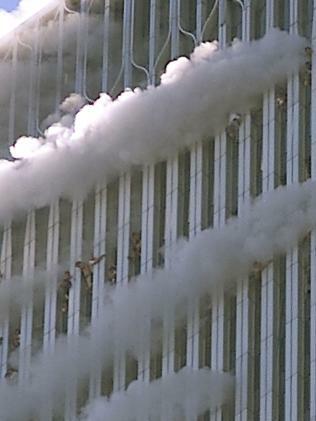 It's based on methodical research and interviews laid out in Wright's book, named for a Koran quote reportedly used by bin Laden before the 9/11 attacks that "death will find you, even in the lofty towers". It tells the story of bin Laden, Sayyid Qutb, and Ayman al-Zawahiri against the background of the Soviet invasion of Afghanistan, 1998 embassy attacks and 2000 bombing on the USS Cole in Yemen. Sarsgaard said he was initially reluctant to take part having "a lot of feelings" about the book and having been close the World Trade Centre on the day of the attack. Eventually he was persuaded by the cast and opportunity to play the belligerent Schmidt, a man with such strong beliefs they "ultimately compromise him". "I thought there was a real opportunity to hear to try to think about the ways in which we are responsible, not meaning, completely responsible but how did our behaviour precipitate this? How can we avoid it next time? "If you said something like that in the United States even eight years ago, I think it was very touchy still." The 46-year-old said he still gets "emotional thinking about" the attack that led people to come together in a way that is "hard to imagine" now given polarisation under President Trump. The biggest surprise in making the show was the amount of "latitude" there was for personality types to dictate the flow of information in upper echelons of security services. So in light of the White House openly warring with intelligence agencies and the terror threat perhaps greater than ever, should the public feel safe? "I don't think we have much of a choice. I do think for the most part they're doing the job they're assigned to. As they say, we don't learn about all the things that they prevent. It's very difficult to evaluate them," he said. "That's one of the things that makes them scary and unknowable, why we call it the 'deep state' because they're not elected and they have access to a lot of information. But I'm someone who believes that there is some value. Now more oversight is just what's needed and I don't believe there's any oversight now since the president is their boss." The Looming Tower, will be coming to Amazon Prime Video in Australiafrom 1 March as an Amazon Prime Video exclusive. 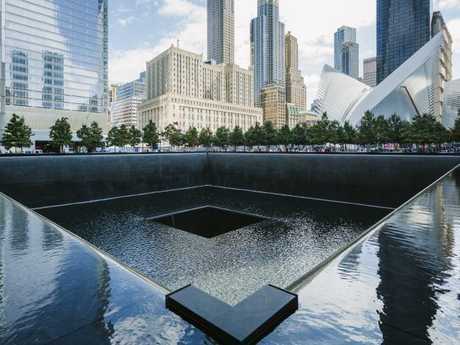 The south pool memorial in New York for victims of the attack which killed nearly 3000 people.